Molecular and cellular applications, such as ethanol precipitation, phenol extraction, NA preparation, cell collection or spin-down of temperature sensitive reaction mixtures, can all be comfortably performed using the BenchMate Refrigerated Centrifuge. Operating with the maximum centrifugation speed of 17,000 rpm (27,237 x g), the BenchMate Refrigerated Centrifuge offers multiple rotor options. For standard 1.5 mL and 2.0 mL micro-tubes, the BenchMate Refrigerated Centrifuge offers 24 or 30-place rotor options. Both rotors have an angle of 45 degrees, a hole diameter of 11.1 mm and can accommodate tubes up to 52 mm in height. For 1.5 mL and 2.0 mL microfilter tubes, this refrigerated microcentrifuge provides an 18-place rotor, fitting tubes up to 65 mm in height. Multiple other rotor options are available for the BenchMate Refrigerated Centrifuge. See the chart below for an overview of all the rotor types available for this refrigerated microcentrifuge. 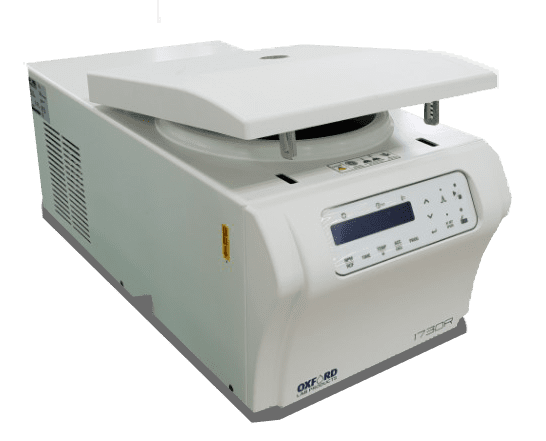 If you are just looking for a small unit for quick bench-top spin downs, the BenchMate C8 Microcentrifuge might be a great addition to your lab. This centrifuge operates within a temperature range from -20°C to 40°C. It can cool down samples to a temperature of 4°C in just 5 minutes. The chamber of the BenchMate Refrigerated Centrifuge is rust-free and Teflon-coated. The compressor-off function prevents unnecessary cooling and frost formation while the lid is open. 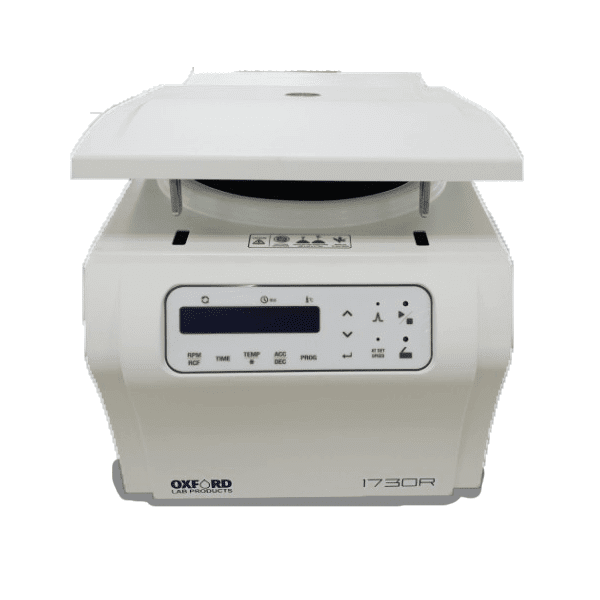 This refrigerated microcentrifuge provides quiet and stable operation, keeping the noise level down to only 56 dB. The parameters can be changed during operation unless the Key Lock function is activated.